Geology of the Grand Canyon showing calculated radioisotope ‘dates’ (after Austin3). One sobering example comes from the Grand Canyon in Arizona (see diagram, left). The Cardenas Basalt in the bottom of the canyon is an igneous rock layer suitable for radioisotope technology. When dated by the rubidium-strontium isochron method, the Cardenas Basalt yielded an age of 1.07 billion years. Most geologists consider this a ‘good’ date because it agrees with their evolutionary chronology.3 However, we know the date can’t be right, because it conflicts with Biblical chronology. It is a different story when the same rubidium-strontium method is used to date lava from volcanoes on the north rim of the Grand Canyon. We know these volcanoes are some of the youngest rocks in the canyon, because they spilled lava into the canyon after it had been eroded. Geologists generally think that these volcanoes erupted ‘only’ a million years or so ago. The measured age? 1.34 billion years.3 If we were to believe the dating method, the top of the canyon would be older than the bottom! Of course, geologists don’t believe the result in this case, because it does not agree with what they believe to be the right age. We don’t agree with the result either. Such an obviously conflicting age speaks eloquently of the great problems inherent in radioisotope dating. It also speaks volumes about the way ‘dates’ are accepted or rejected by the geological community. Table A. Potassium-argon ‘ages’ for historic lava flows (from Dalrymple1). Dalrymple, G.B., 40Ar/36Ar analysis of historic lava flows, Earth and Planetary Science Letters 6:47–55, 1969. Return to text. Snelling, A., Radioactive ‘dating’ failure: Recent New Zealand lava flows yield ‘ages’ of millions of years, Creation 22(1):18–21, 2000. Return to text. Austin, S.A. (ed. 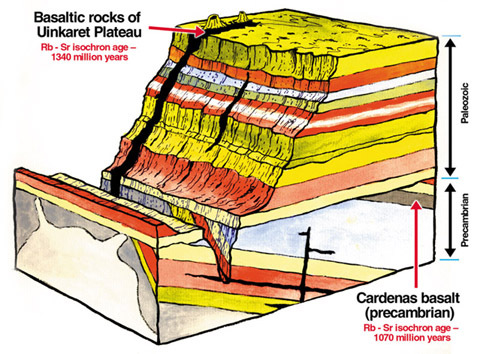 ), Grand Canyon: Monument to Catastrophe, Institute for Creation Research, Santee, California, pp. 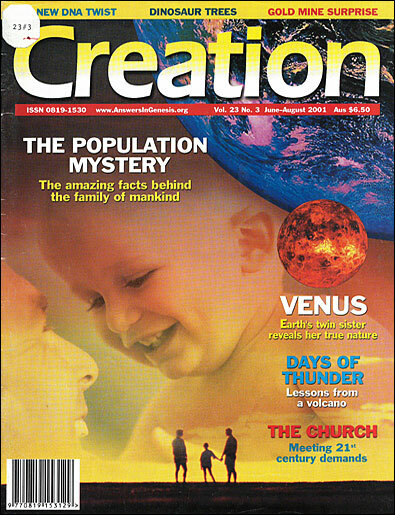 111–131, 1994. Return to text.